Why does SEPTA send pension cash so far from Philly? 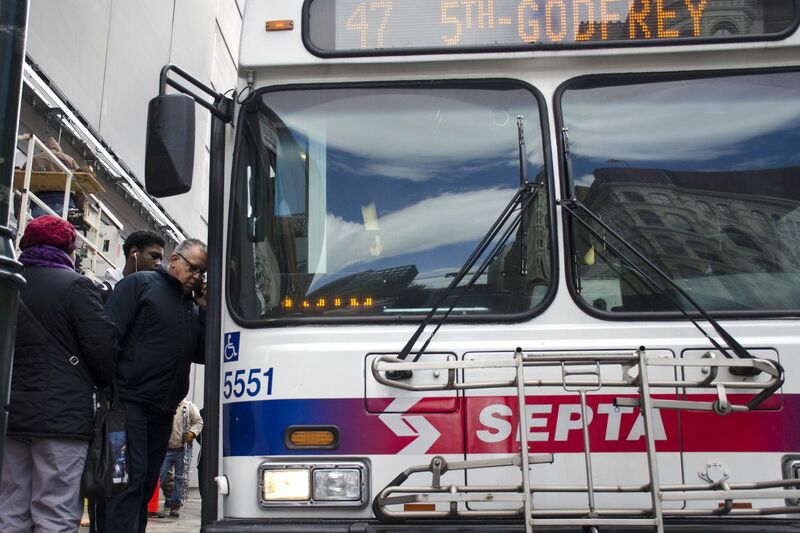 Septa bus drivers’ pensions are guaranteed by a $1.4 billion plan that’s buying a complex array of new investments. SEPTA, with its train, bus, and trolley lines, its political board and state subsidies, its buggy train cars and Key Cards, exemplifies complexity. Its $1.4 billion pension plan — for thousands of SEPTA bus and office retirees who aren't part of the federal Railroad Retirement System — is complex, too, as is the thinking behind such investments as the SEPTA board's Sept. 27 vote to send $10 million to Golub Capital Partners of Chicago and $5 million to Arrowhead Investment Management of Greenwich, Conn. Send it where? Lance Haver, Philadelphia's relentless consumer advocate, asked basic questions at that meeting: How do we know these firms will generate any more cash than, say, buying indexed stock funds from Vanguard? Why not keep the money home and invest it, for example, in Philly-based "transit-oriented development," with local contractors who meet SEPTA's own "fairness and diversity" guidelines? Like other employers that still guarantee pensions, SEPTA is under pressure to boost returns above its long-term target of 7 percent a year. Thanks to the Trump-Obama bull market, SEPTA has beaten that target, on average, since 2010. The plan returned 10 percent over the year ended June 30, compared with 9.3 percent for the state's largest pension fund, the Public School Employees' Retirement System. But U.S. stocks did better. And SEPTA's $1.4 billion pension assets are still far below the $2.2 billion it will need to keep paying pensions without in time running out of money and having to pay retirees alongside operating expenses, which would cost way more. It's more solvent than the state's pension systems, far more than Philadelphia's, but still under pressure. The board, under chairman Pasquale T. "Pat" Deon Jr., a Bucks County beer distributor and Republican leader, approved the Golub and Arrowhead investments despite Haver's questions. Later, SEPTA's chief financial officer, Thomas McFadden, and Rich Burnfield, deputy general manager, sat me down with a stack of printouts and told a little about how the agency's pension-fund sausage gets made. SEPTA invests mostly in stock index funds managed by Vanguard ($400 million) and Blackrock ($160 million); in actively managed stock funds ($300 million) run by a balance of Pennsylvania-based (Emerald) or minority-run (Edgar Lomax) investment companies; and in safe, easier-to-sell-in-troubled-times, but much-lower-yielding U.S Treasuries and high-rated bonds run by a similar balance of local and national firms ($225 million). The other $300 million-plus is split among more than 20 outside firms that pump the cash into junk-bond, real estate, timber, and other commodities, hedge funds, and private-equity buyout funds. Almost all of those "alternative" investments have yielded lower profits than SEPTA's U.S. stock index funds since SEPTA began buying more of the former and keeping track of the results back in 2010. But still better than bonds, mostly. Why go to all that extra trouble? "We wanted to diversify," said McFadden. "Our strategy is to build around the index funds" and own other stuff that might not get caught so badly in the next stock market collapse. Even if it means a drag on total returns for now, compared with just owning stocks. Funds that owned only stocks lost a lot of capital dumping assets cheap in 2008-09. So PFM — Public Financial Management, a Philadelphia-based firm that connects many of Pennsylvania's 3,000 municipal pension plans to private-sector money managers — has boosted SEPTA's "alternative" investments — timber and junk bonds and the rest. Most recently PFM gave SEPTA a short list of private-debt funds it saw as promising. The investment committee, headed by SEPTA board member and Pottstown traffic engineer Kevin L. Johnson, picked Golub, which makes senior loans to middle-market companies, and Arrowhead, which picks higher-yielding, less-secure mezzanine debt. The goal: what McFadden called "equity-like [higher] returns with bond-like [lower] volatility." SEPTA will pay the firms each a fee of 1 percent a year — a dollar for every $100, totaling $150,000 the first year — and let them keep 20 percent of profits after an initial yield of 8 percent. That's a lot more than Vanguard or Blackrock charge for index funds, lately as little as 0.01 percent (a dollar for every $10,000). That's the price not (usually) of higher net returns, but of a certain kind of diversity. This was a relatively light month's work for SEPTA's investors. Earlier this year SEPTA pumped $50 million into Australia-based AMP Capital, whose "infrastructure" arm finances publicly backed, privately managed projects — energy, transport, old folks' homes — which SEPTA's advisers say is a growth business. Especially with President Trump's encouragement of "public-private partnerships." Philadelphia needs plenty of its own infrastructure — new pipes, safer streets, better clinics, and school tech. I wish SEPTA and its rail partners could afford more updates, too. But, let's face it, would you trust the politicians who dominate SEPTA to pick local projects for the pension to fund — given the bedrock need for solid returns to pay retirees? No wonder PFM's advisers would rather scout pros in Connecticut hedge fund country, or down the sunny highways of Australia. Of course, their returns aren't guaranteed, either.